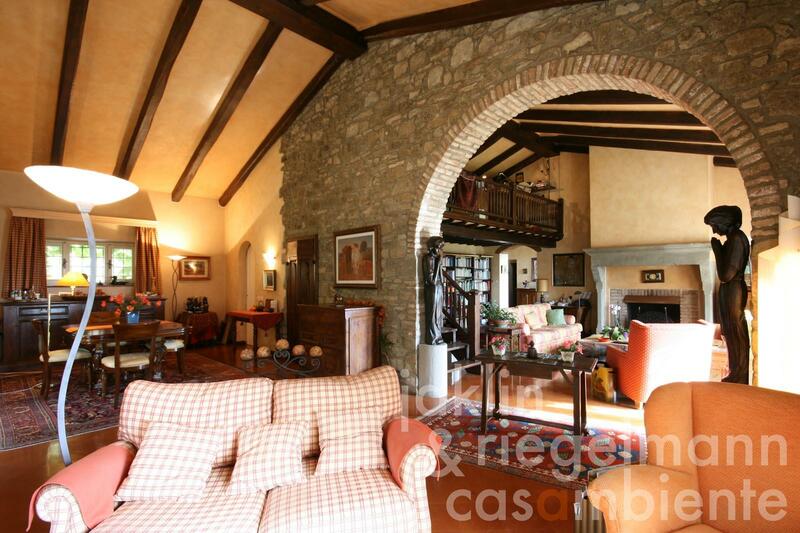 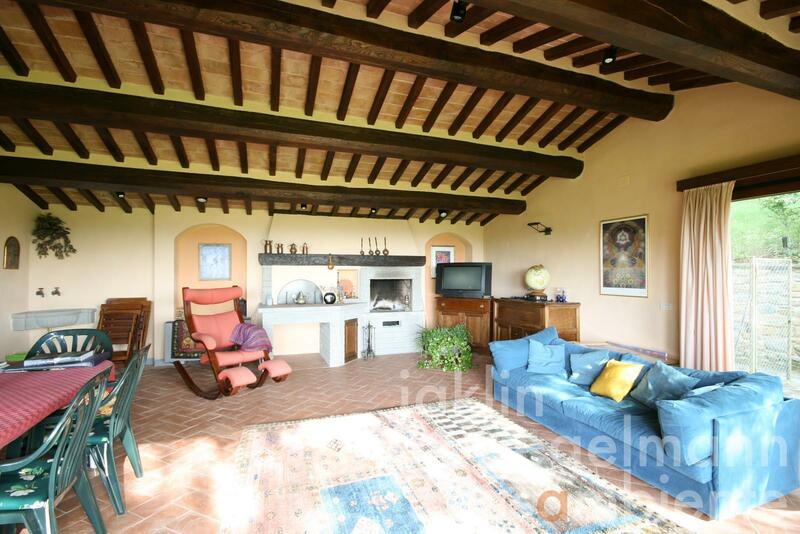 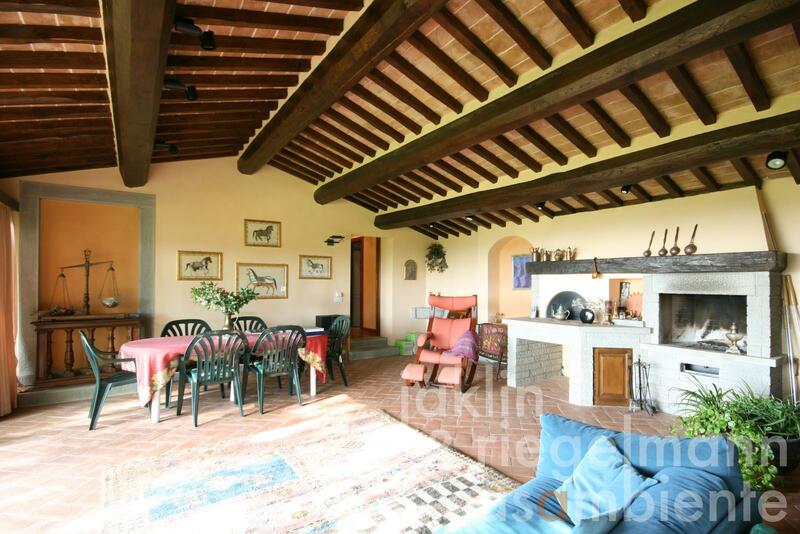 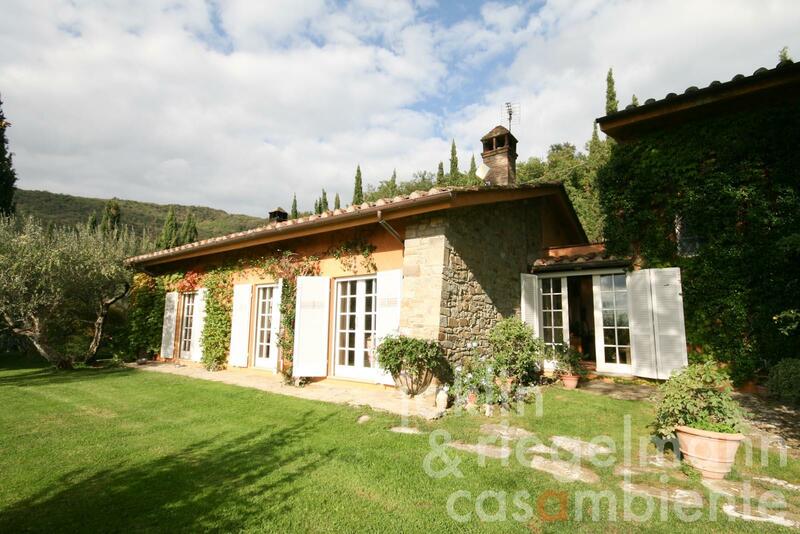 Tuscan Villa for sale close to the famous town Cortona with panoramic views across the Val di Chiana valley in Tuscany. 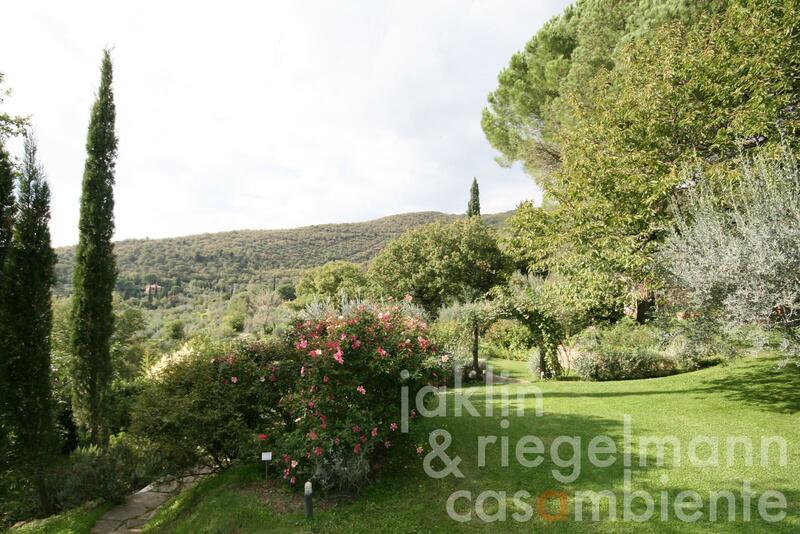 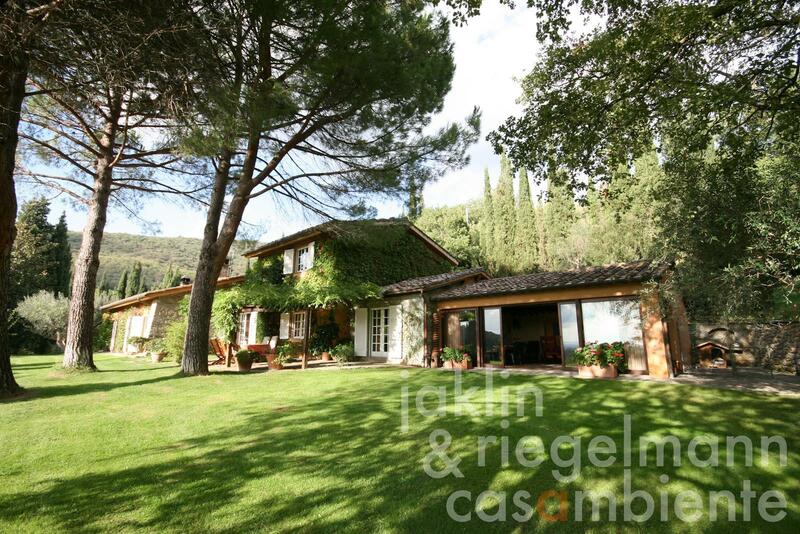 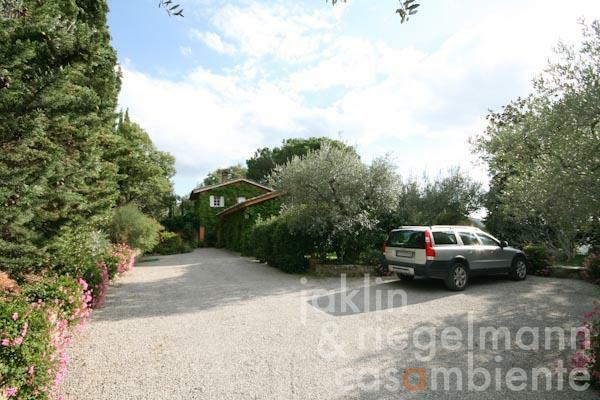 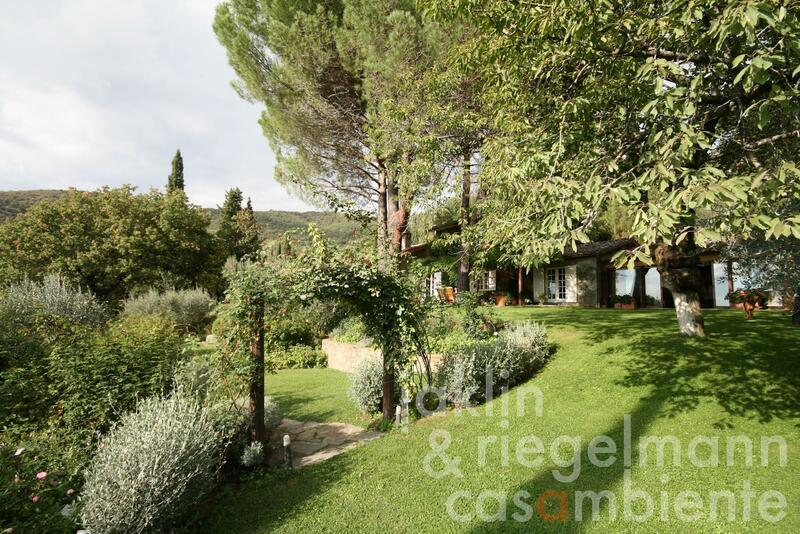 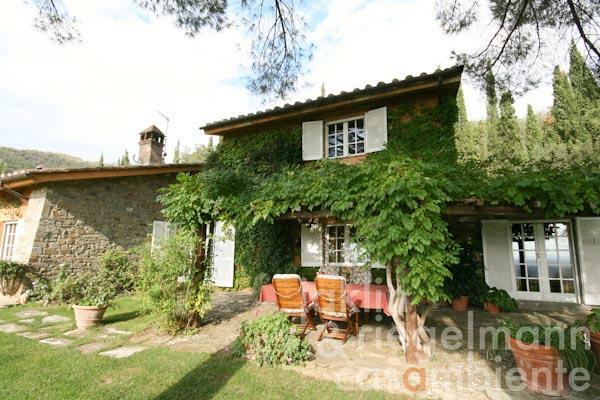 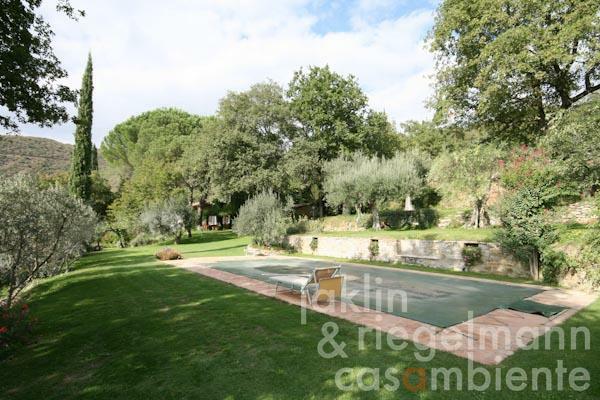 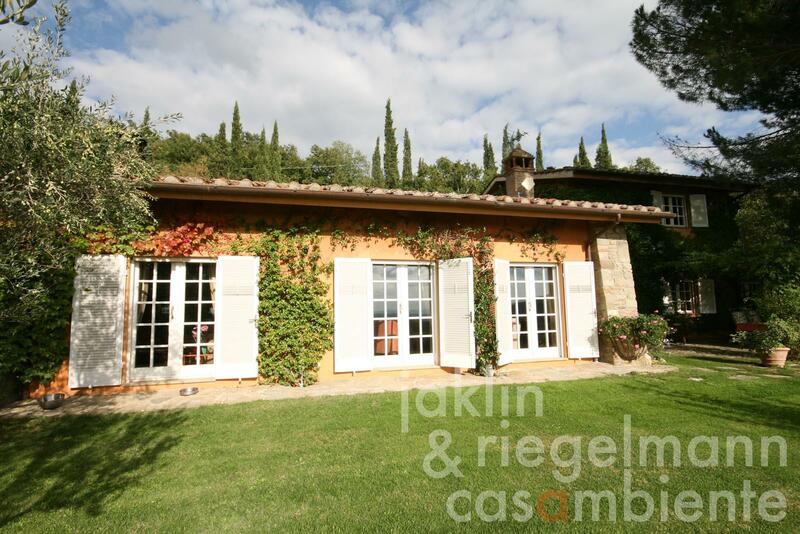 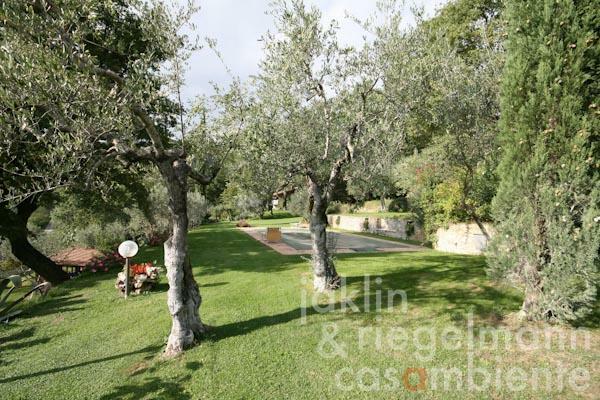 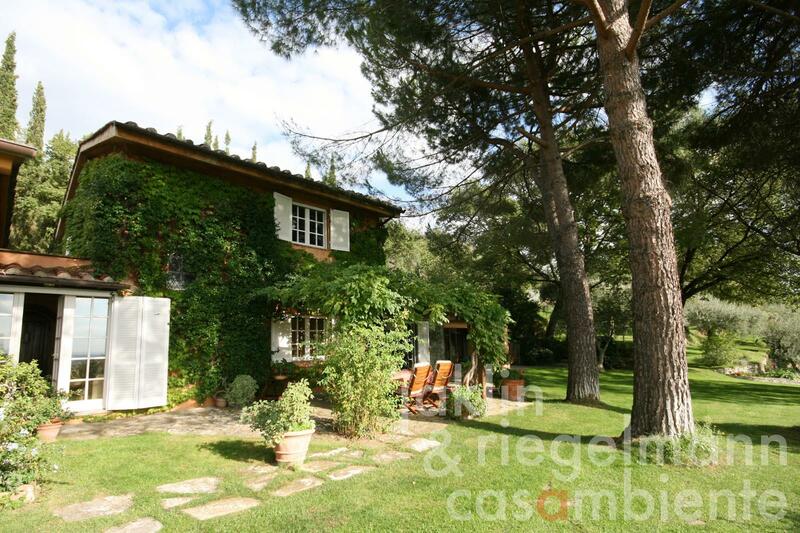 The villa for sale is surrounded by a well-tended park with old trees, a sunny olive grove, vineyard and swimming pool. 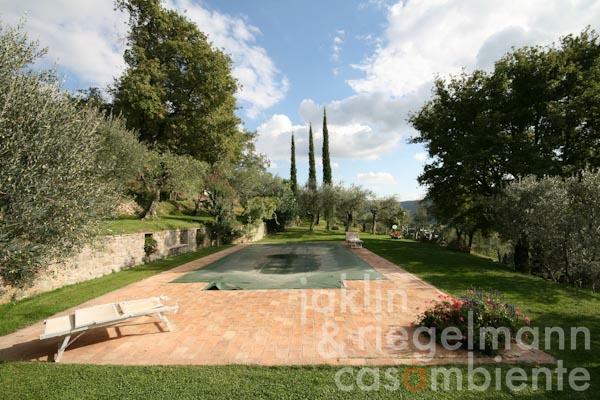 The magnificent panoramic views across the Tuscan landscape towards south from the villa and its protected pergola are simply stunning. The park features a lovely rosary with numerous rare rose species, which are centuries old. 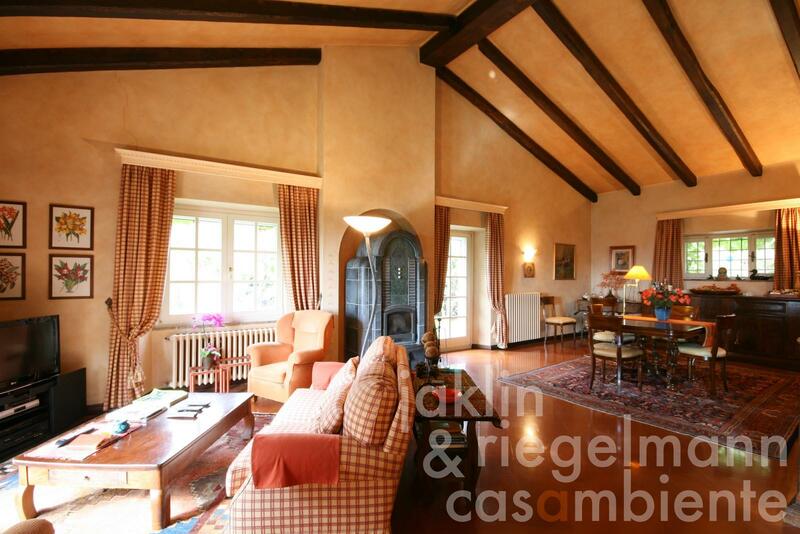 The living area with open fireplace is spacious and features full ceiling height to the gable. 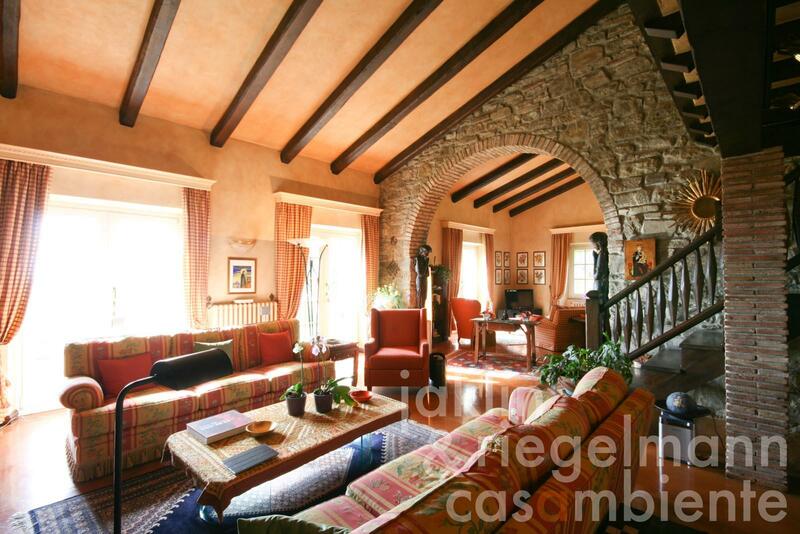 The gallery is used as library and studio. 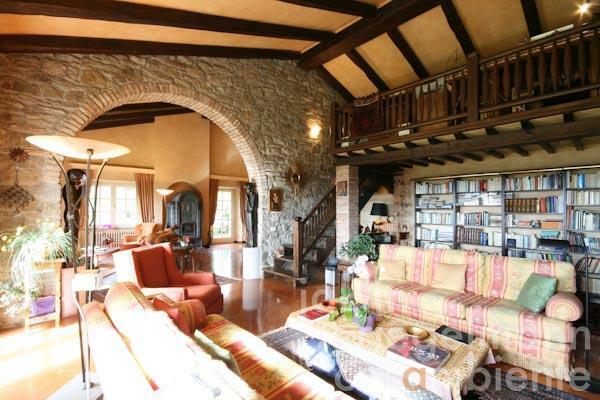 A second living room with open fireplace and large glazed sliding doors is ideal to access the garden and swimming pool. 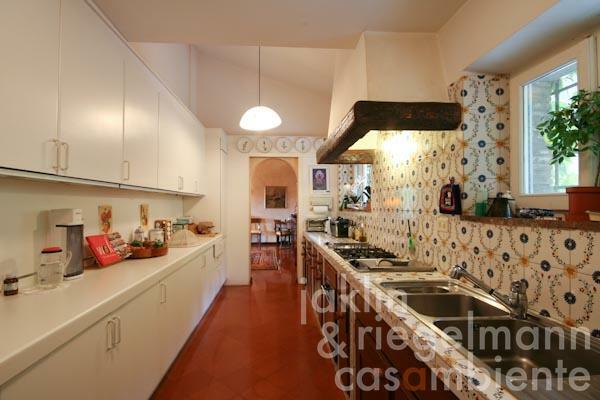 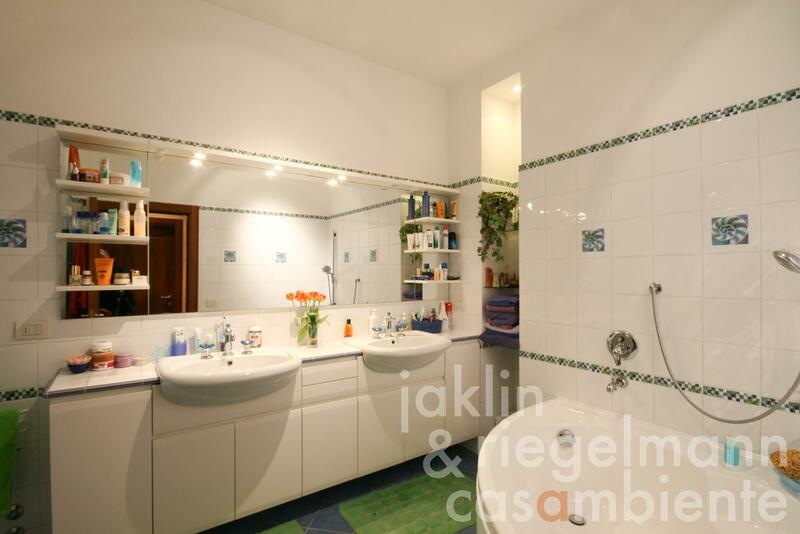 A kitchen, two bedrooms, two bathrooms, WC, laundry, wine cellar as well as a storage- and utility room are also located on the villa's ground floor. 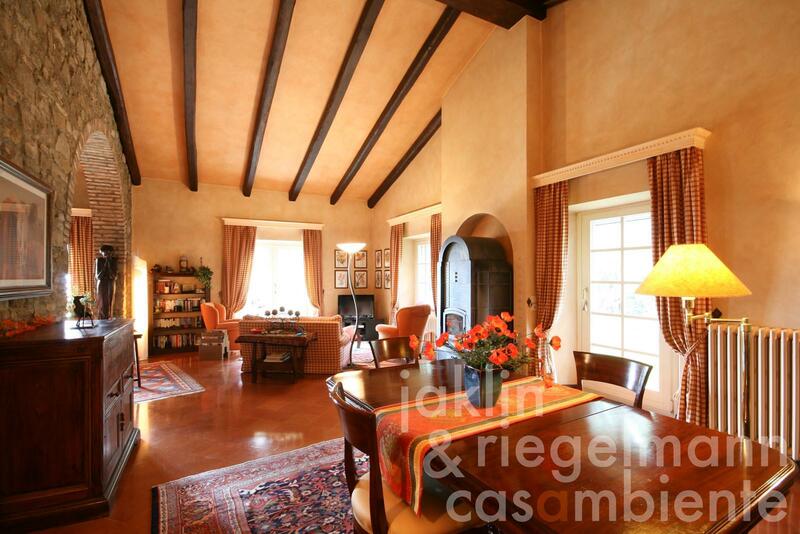 The first floor offers two additional bedrooms and a bathroom. Part of this special property for sale is a small vineyard with an annual production of about 300 bottles. The property is exceptionally well-cared for. 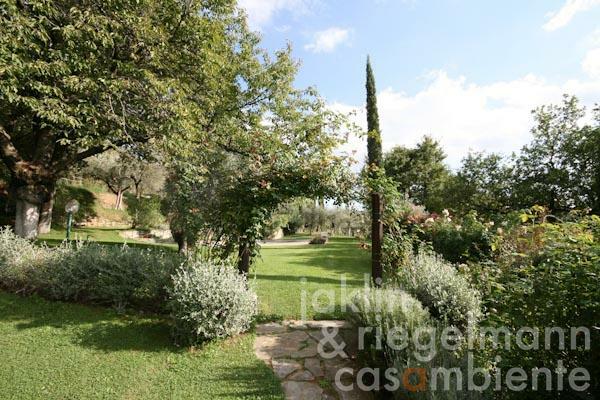 2.19 ha with 80 cypress trees and a variety of fruit trees, rose-garden (49 species), olive grove (400 trees) and vineyard. Electricity, central heating, oil tank, telephone, satellite-TV, automatic gate, alarm system, irrigation system, swimming pool, garage, private parking, terrace, vineyard, olive grove, garden, Internet, 2 wells, 2 fireplaces, Finnish oven.